Born in Paris in the late 70’s, Shanti D takes its first steps in the mid 90’s singing for various sound systems and bands of the underground parisian scene. In 1999, he meets Junior Cony, then begins a close collaboration which is still going on nowadays. Their albums Junior Cony meets Shanti D & Mr Irie at the government shop (2002) and The meaning of life (2008) were warmly welcomed by the critics to be now considered as classics. 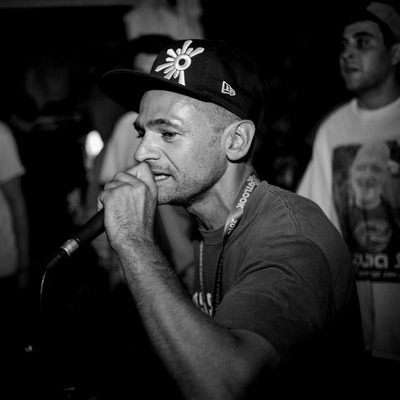 At that point, Shanti D multiplies many featurings notably with High Tone, Dub Addict, OBF, Mungos HiFi… and becomes a prolific activist of the french dub scene. Endowed with a large and eclectic culture, but also with various influences acquired during his multiple travels, Shanti D is a maverick artist with a unique flow, flying between roots and rub a dub to other experimental styles.